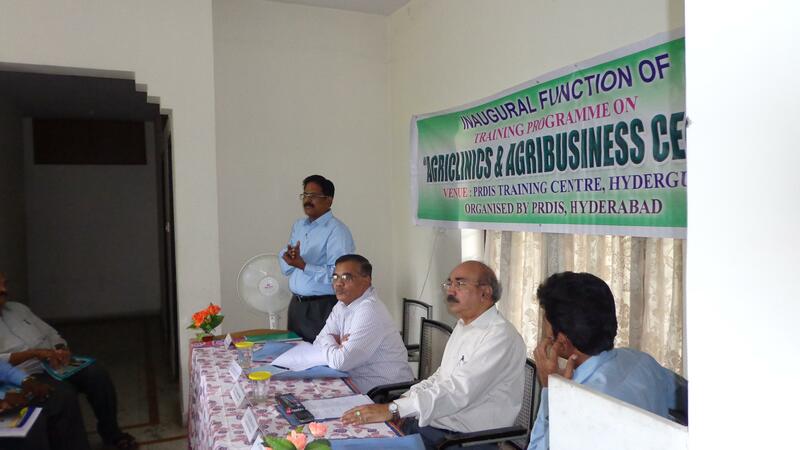 Agri-clinics and Agri-business Centers Scheme was initiated by Ministry of Agriculture, Government of India, in association with NABARD to tap the expertise available in the large pool of Agricultural graduates and diploma holders in agriculture to train, enable and eventually empower them to set up their own clinics and business and offer professional extension services to innumerable farmers. The need for specialized training to agripreneurs was felt by all sectors. A two-month long training programme was offered free of cost to agricultural graduates interested in setting up such centres. MANAGE, the technical arm under the Ministry of Agriculture, was entrusted with the task of giving wide publicity to the programme and providing training to the agripreneurs. On 9th April, 2002 the Hon`ble Union Minister for Agriculture inaugurated the first phase of agripreneur training program at Jaipur. The scheme was formally inaugurated in Andhra Pradesh on 12th June 2002 at MANAGE, Hyderabad by Hon`ble Union Minister for Agriculture. The scheme aims at supplementing the existing extension network to accelerate the process of technology transfer in agriculture and strengthening agri-input supply and services. Agricultural graduates can set up their own agri-clinics and agri-business centres and offer professional/consultancy extension services to the farmers to take better methods of farming to each and every farmer across the country. The scheme will provide opportunities for self-employment to agricultural graduates. Of late, with the perseverance efforts of PRDIS under the stewardship of its founder President & Executive Director, Prof. S.Venku Reddy, Former Professor of Agricultural Extension, Acharya N.G. Ranga Agricultural University, Agricultural Extension Services Advisor, Govt. of Uganda and Consultant World Bank, the Government of India considered the eligibility for Diploma Holders in Agriculture and on account of which the benefits of the scheme are being extended to them from January 2011.. PRDIS has been chosen as one of the Nodal Training Institute (NTI) centers to organise the Agri-clinics and Agri-business Centres Training Programmes for unemployed Agricultural Graduates Diploma Holders in Agriculture, retired Scientist of the Line Departments and the State Agriculture University. 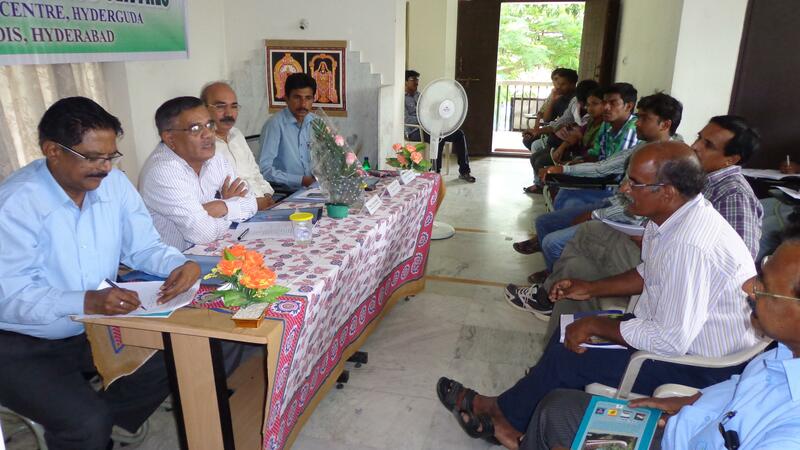 So far, twenty four training programmes were organized, trained 537 Agripreneurs. PRDIS training centre located in its Administrative Block at # 230, Shivanagar Colony, Besides Donald Memorial High School, Hyderguda, Hyderabad – 500 048. The broad areas covered during the training through theory and exposure visits are concept of Agri-clinics and Agri-business Centres, globalization and regulatory development frame works, innovation in agriculture, small business, agricultural marketing, financial management, information technology and economics of different agricultural projects, agricultural extension and entrepreneurial development and Management. 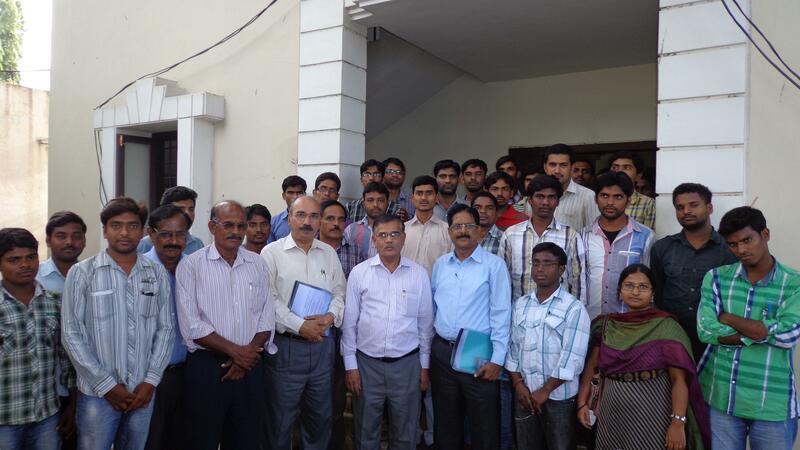 Dr. S. Jayarama Reddy and Sri Praveen are the Nodal officer and Training Coordinator of the Programme respectively. The MANAGE also has provided to the training centre handholding facilities to undertake follow-up after the training. So far 45% of the trained graduates have already set-up agribusiness enterprises. 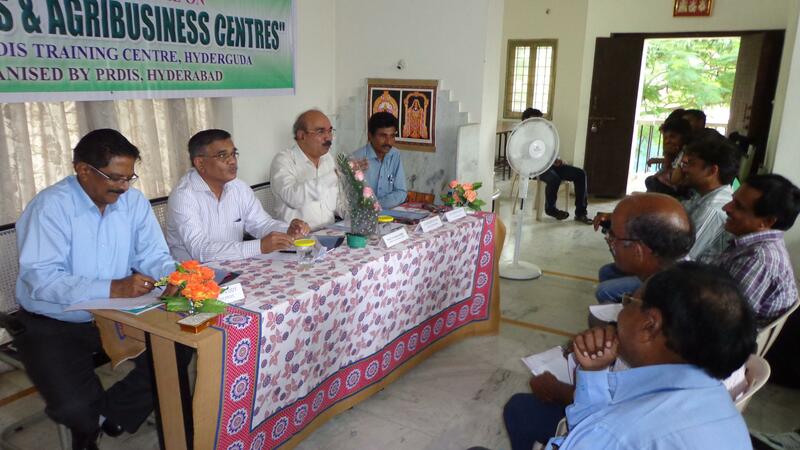 Many are in the process of establishing Agri-clinis and Agri-business centres. Hitherto, the banks were giving loans up to Rs.5 lakhs without collateral security and Rs. 10 lakhs with security depending upon the viability of project proposals along with 25% loan subsidy and two years interest subsidy to the successful agriprenuers. But, from now onwards, the loan amount has been increased up to Rs. 20 lakhs with 36% of subsidy for the general category and 44% for SC, ST and women categories besides certain beneficial component of interest encouragingly.